A finance analyst is expected to be comfortable with two things – numbers and excel. One of the main reasons why a finance analyst has to be good with excel is because he or she is expected to perform financial modeling. Financial models used to be an excel-based tool that is utilized in order to forecast financial results based on historical data. While this is a simplistic explanation of a financial model, the idea is that you start out with a rather basic model and from that financial model, you can build a lot more. It is worth pointing out that financial modeling to be relevant and useful are dependent on good, clean, and correct data. This is usually where most finance departments´ problems come from. Most finance departments have been wrangling with excel spreadsheets for the longest time and for those that have gone through the pain of having to deal with excel spreadsheets, they can surely attest that excel spreadsheets are not the best financial modeling tools. You can build a financial model with excel spreadsheets but there are always questions of accuracy and integrity of its results. Performance Canvas Financials is a cloud FP&A software. 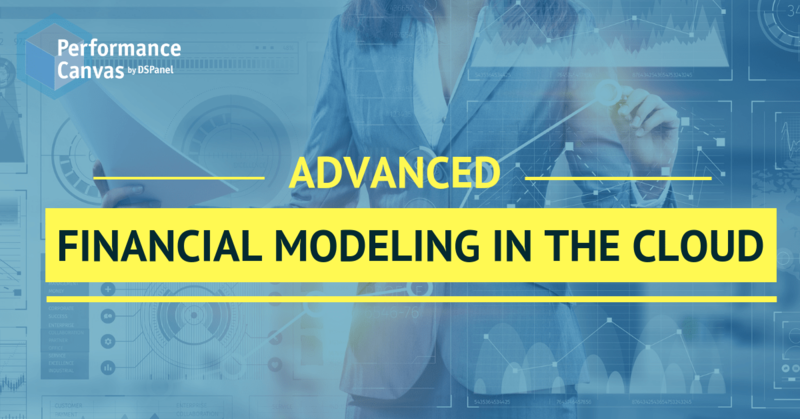 Simply put, it is a financial modeling software that allows you to build financial models in a smarter, more flexible, and more scalable way. With Performance Canvas Financials, you get to apply business rules or business logic into your models so that your process is optimized. Performance Canvas Financials has a fully drag and drop environment which makes building, viewing, and understanding models easier. While you can still use formulas the way you do with excel, this financial modeling software ensures that you do significantly less formula wrangling. In comparison to financial models built manually on excel which are deeply personal and hard to decipher, the financial models you have with Performance Canvas Financials are built in a way that it is easy for your colleagues to figure out what you were trying to do and it is also easy for them to understand the data. Slice and dice, drill through, what-if analysis, testing assumptions, allocations, Fx Analysis, profit analysis and many more are few of the many tasks you can do easily with Performance Canvas Financials. Are you curious to see how this cloud financial modeling software works? Do you want to learn more how your business rules are mapped into Performance Canvas Financials? Visit www.performancecanvas.com or email info@dspanel.com to request for a free trial.